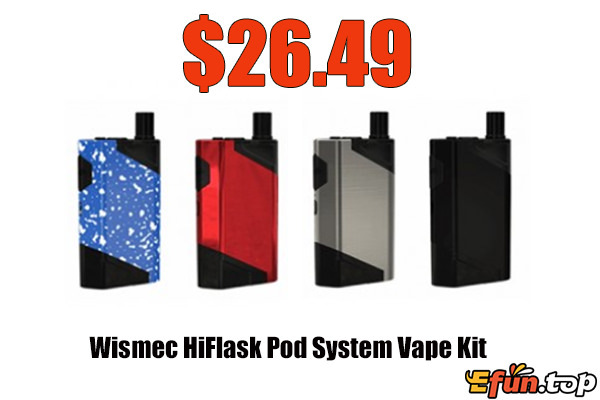 Here comes with first vape pod system kit by Wismec - HiFlask Kit! Wismec HiFlask Pod Kit comes with a slim and ergonomic design, which is powered by large 2100mAh biult-in battery and Wismec HiFlask pods cartridge with large 5.6ml e-liquid capacity to satisfy your daily needed that different from other vape pod starter kit. Measured 48.6mm by 28.2mm by 89mm, Wismec HiFlask is comfortable in hand, supporting 2A quick charging and cartridge lock design. 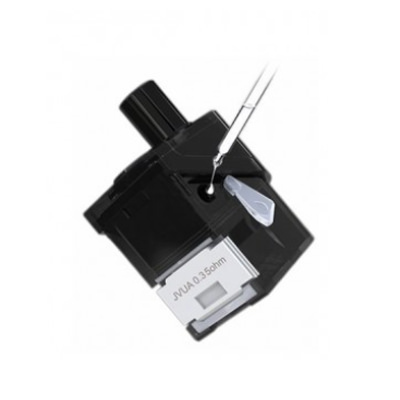 Moreover, there is an innovative design for HiFlash Kit - the JVUA (Juice Vertical & U Airflow) System, offering you pure flavors and denser clouds by smoothly air delivery. 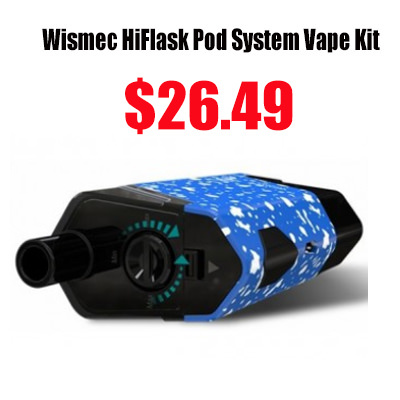 Wismec HiFlask Pod Kit is designed to bring you nexpected vaping enjoyment! here are some other pod system kit you may like .